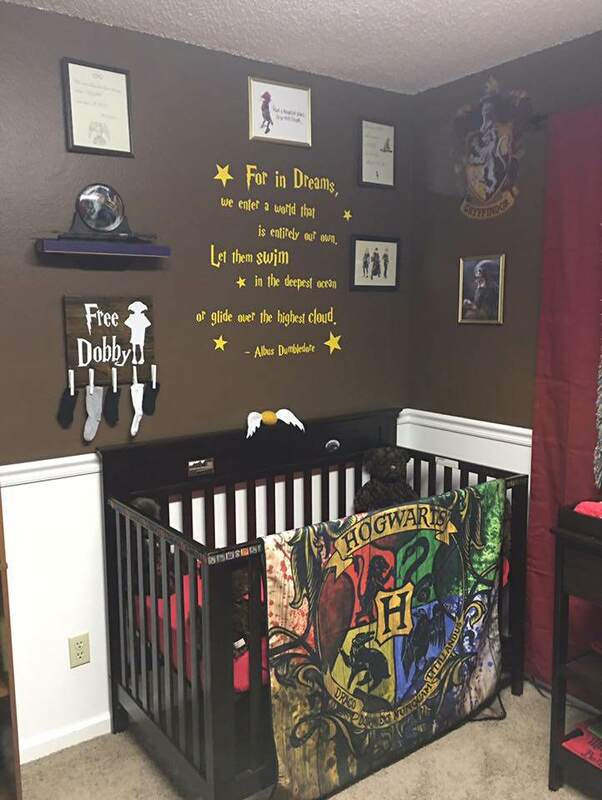 Two expectant parents have gone all out and created an awesome Harry Potter-themed nursery for their lucky unborn child. 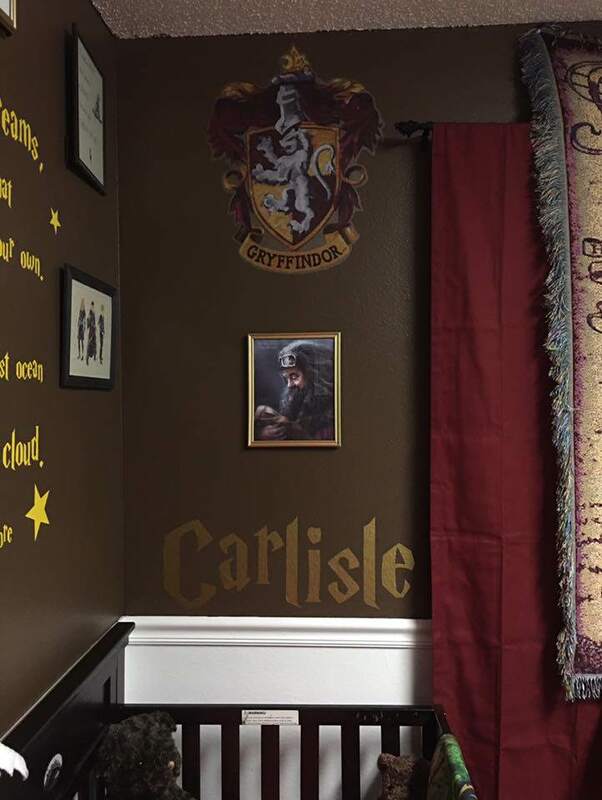 Tiffany Nicole and her husband are expecting their fourth – and apparently final – child, named Carlise Severus, and have gone all out to create the magical nursery, reports ComicBook.com. 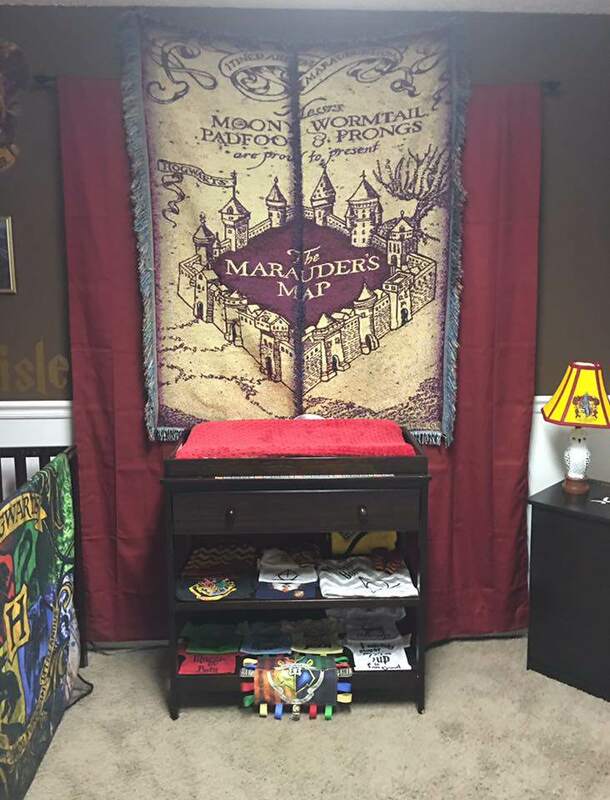 The couple, from Colorado, have packed the nursery full of Potter treats, including a Hogwarts trunk, the Sorting Hat, and the Marauder’s Map. 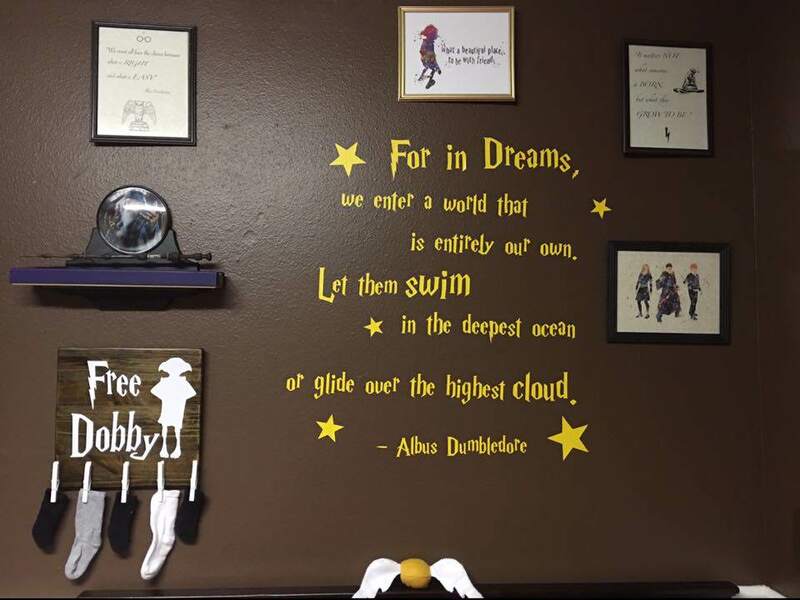 As well as a picture of young Hagrid holding baby Harry and a set of training wings on top of the crib, a quote from Dumbledore has been stencilled onto the wall. 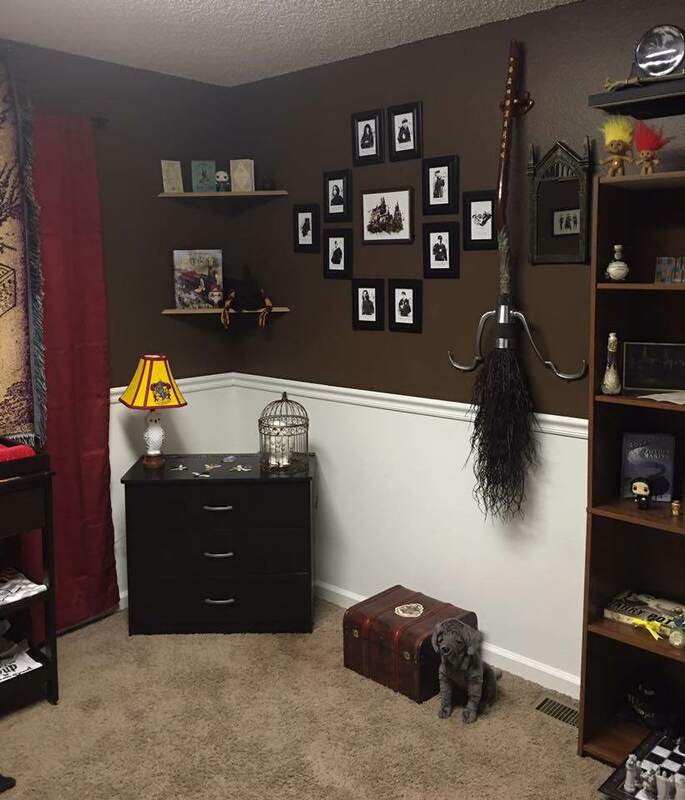 For in dreams, we enter a world that is entirely our own. Let him swim in the deepest ocean or glide over the highest cloud. 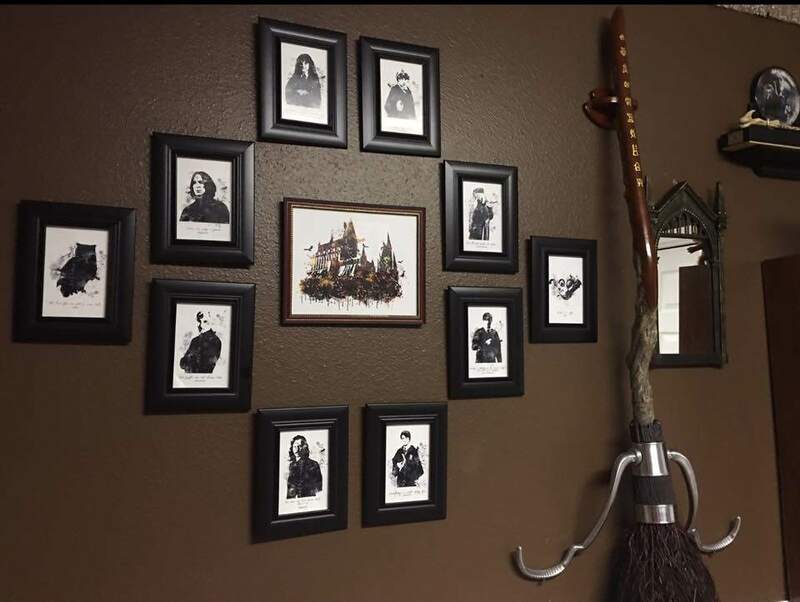 And Dumbledore’s famous words of inspiration: “Happiness can be found, even in the darkest of times, if one only remembers to turn on the light,” have been framed and hung on the wall. 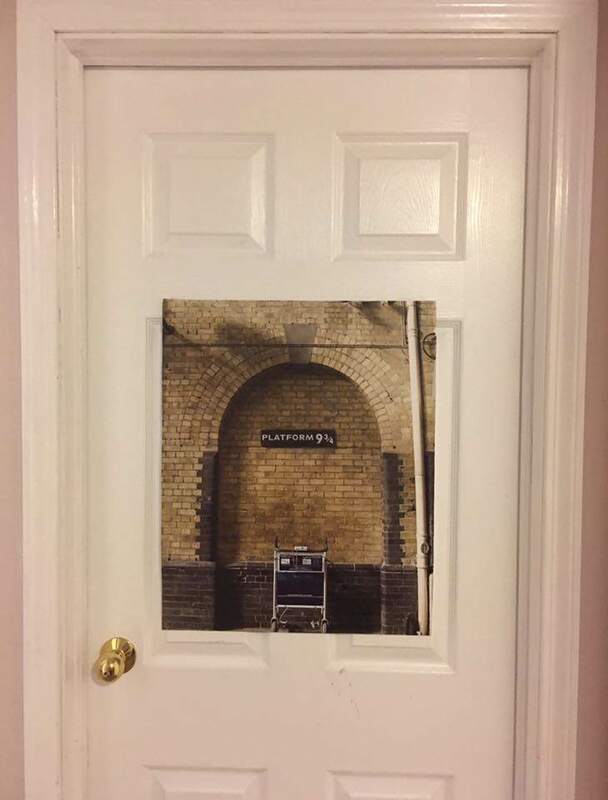 There’s also a ‘Free Dobby’ board where people can leave socks to free the house-elf – brilliant. 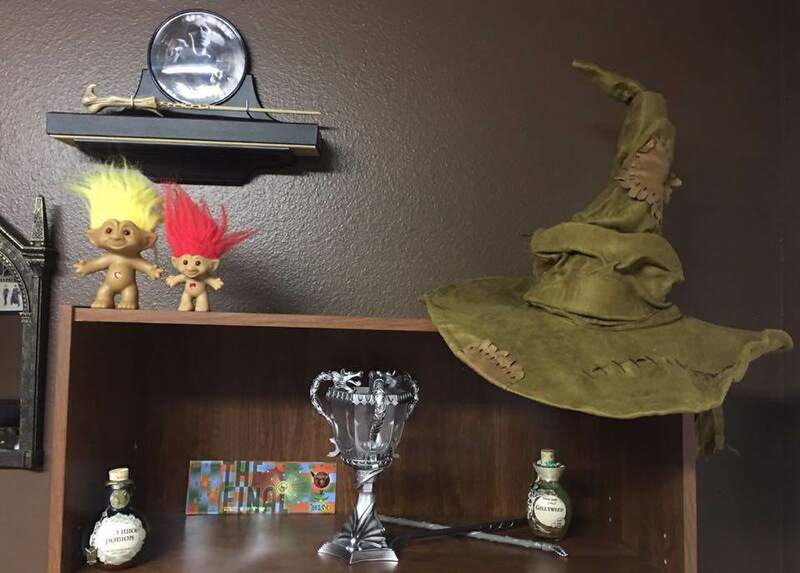 I just recently introduced the movies to my other children, and that’s when we decided it would be perfect to design his nursery with a story that has made such an impact on my childhood.